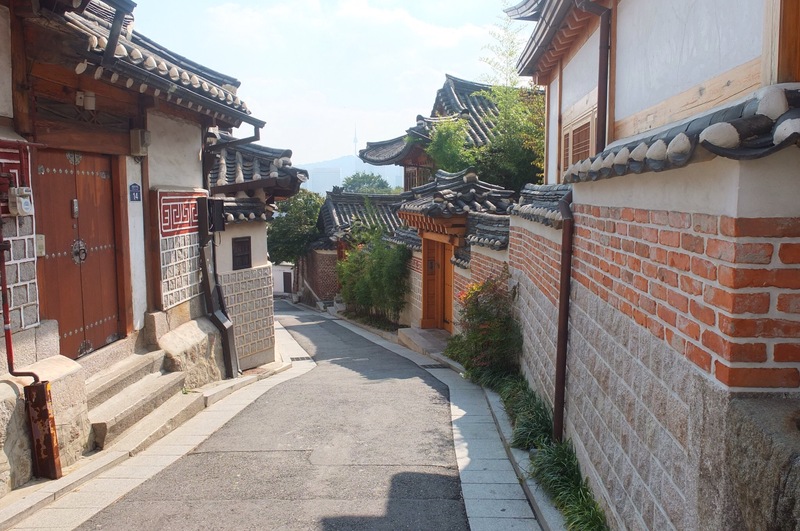 It was a crisp and sunny day when we set out to explore Buckchon Hanok village. 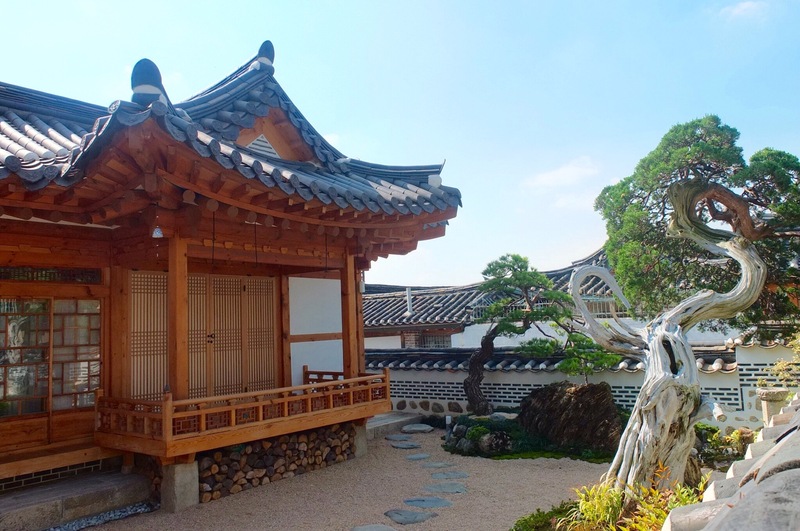 Hanok are traditional Korean houses. In this village they’re very well maintained and all are inhabited. 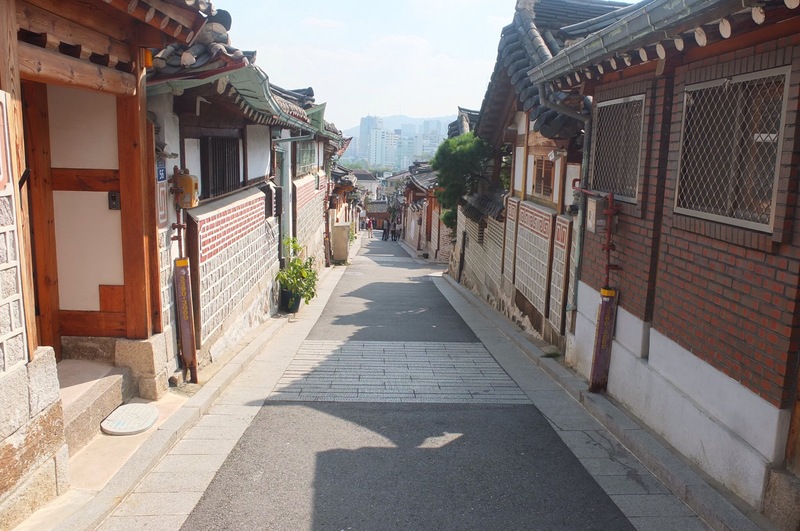 As with most things in Seoul, the village is located on a hill, so we walked up to the highest point to check out the observation point. 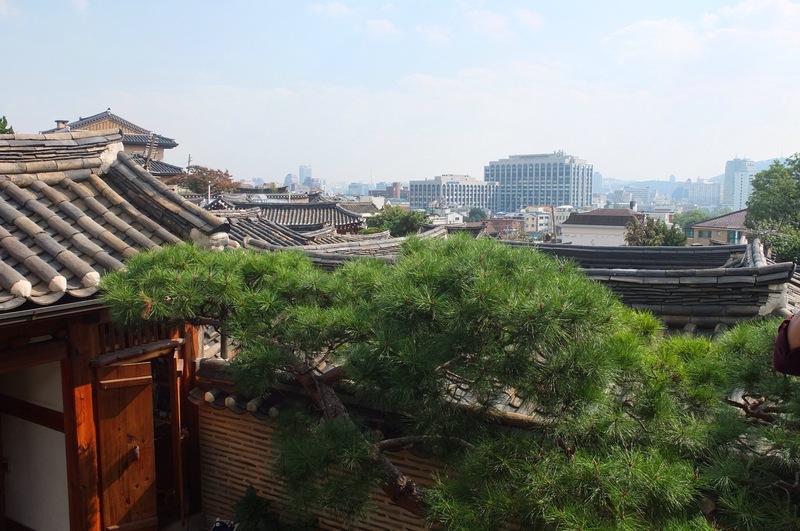 There was a little café with a great view over the village and the mountains and skyline of Seoul in the distance. Here’s the mountain view. Funnily enough, the best view was not from the actual café area but from the restroom. 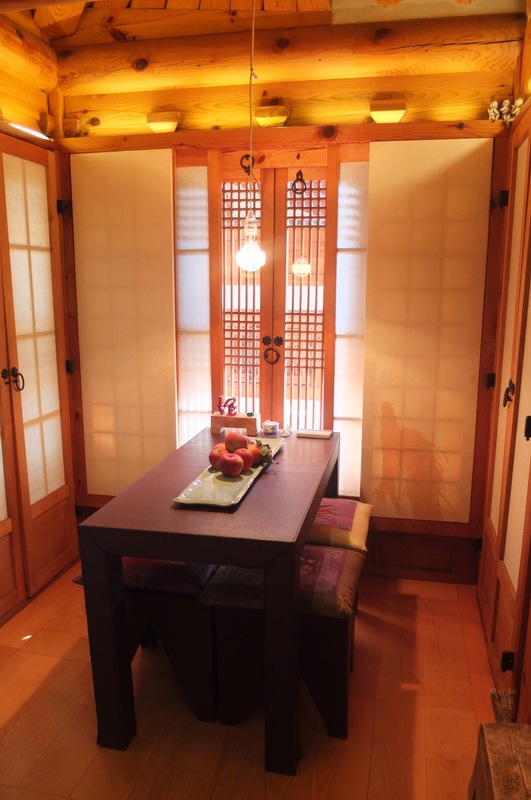 Below is a picture of it – open windows, light and airy. 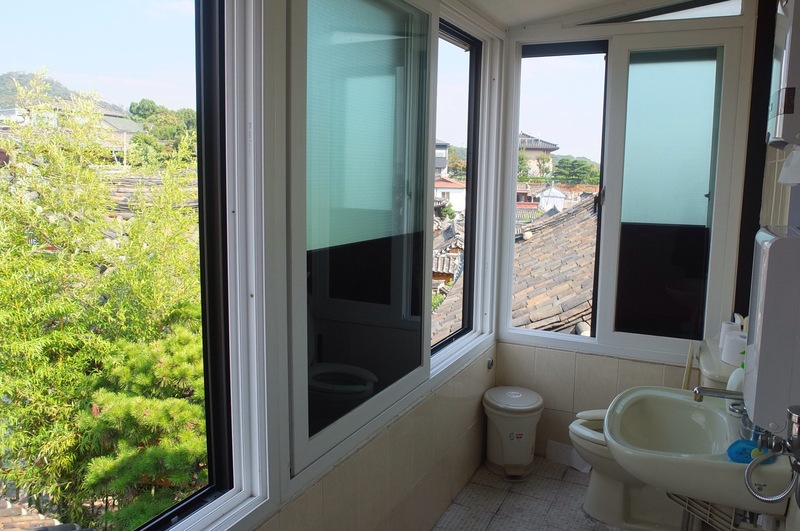 I was a bit confused by the windows being wide open but then figured that none of the neighbours would be able to look inside, otherwise they would not have the windows open like that, would they? I did feel slightly weird pulling down my trousers in front of the open windows but then decided to get over it and enjoy the view. 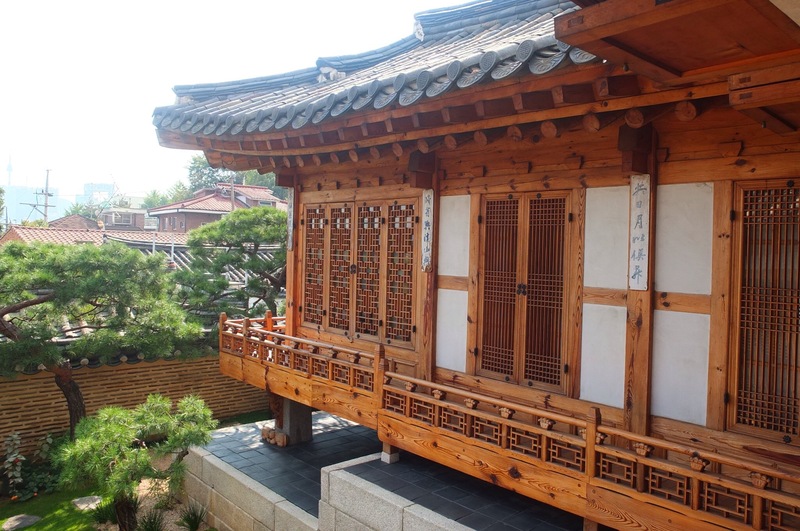 Later we chatted with a young Korean local and discussed this experience and he said that people didn’t mind – everybody looks into each others houses but it doesn’t matter. I’ll leave you to draw your own conclusion from this. Anyway, here are some more photos of the little alleys. There were signs everywhere asking people to be quiet, as it’s a residential area. 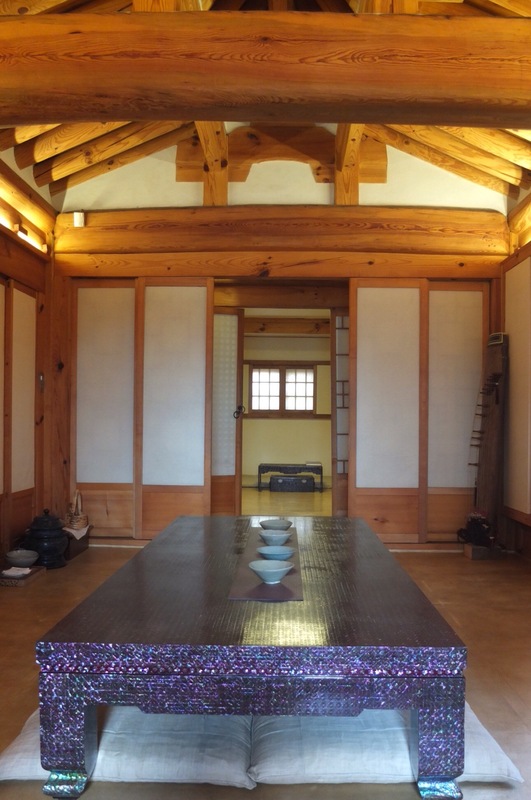 We were able to get a tour of the inside of a hanok house. It was a very nice place – clearly a very wealthy owner had put a lot of time and effort into decorating and maintaining this house. The house is built around a courtyard. Shoes need to be taken off when going inside. We were offered tea at the end of the the tour, which we’re drinking here. The view from our tea drinking position. Detail on the outside of the house. Right, off to get some more Korean food!